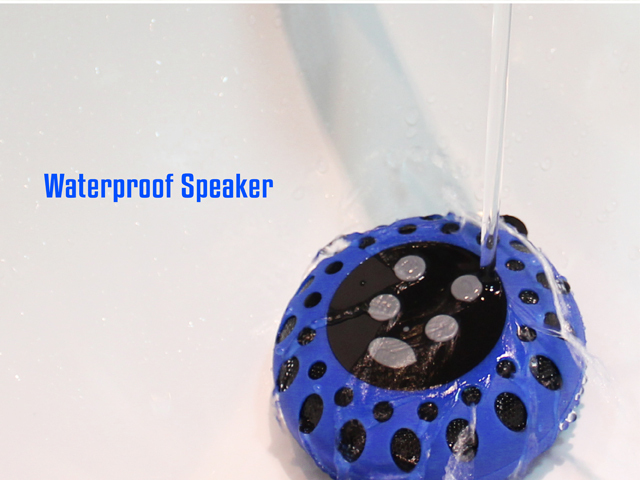 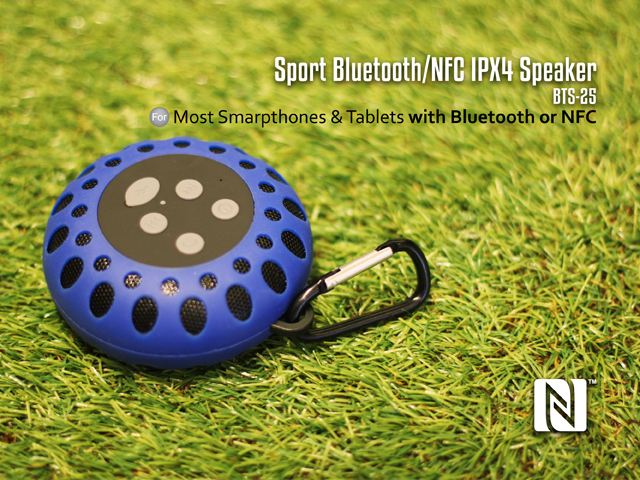 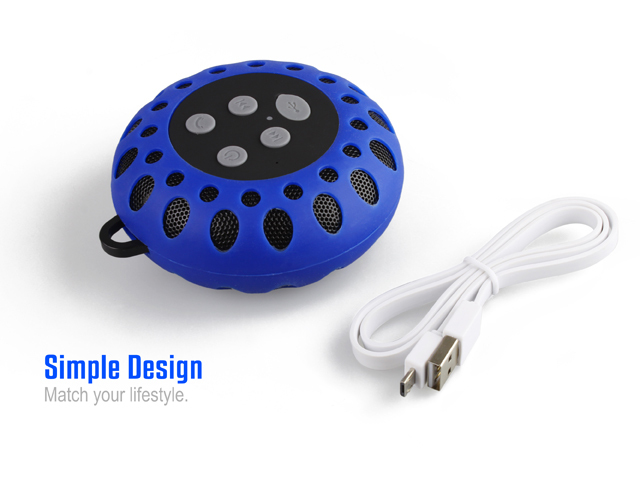 This Bluetooth/NFC speaker features waterproof IPX4 is designed for the use in anywhere (e.g.mountaineering or bike). 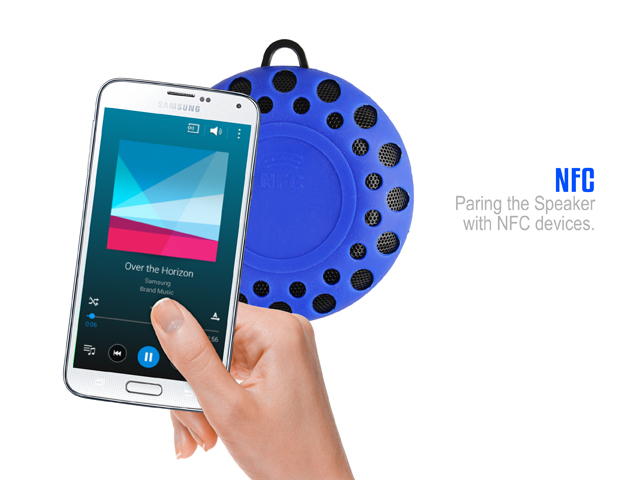 Lets you enjoy music wirelessly. 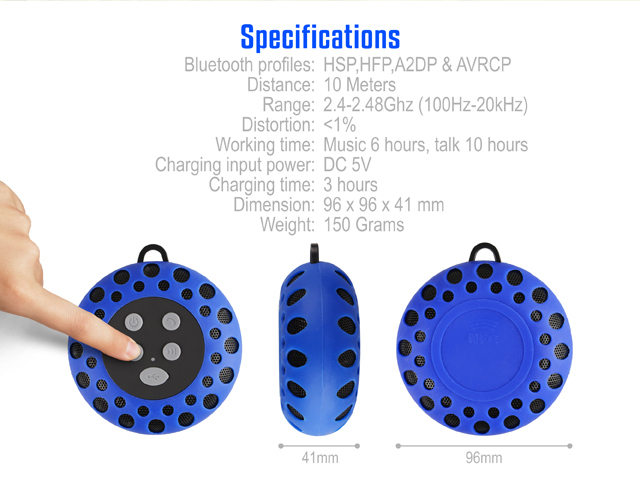 Thoughtful design of built-in mic which allows you to answer calls. 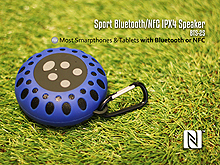 It supports NFC (Near Field Communication) which can help you enjoy the convenience over different portable devices. 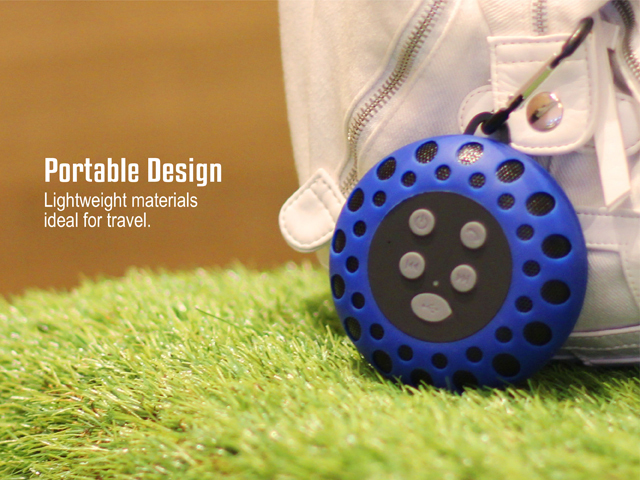 used for home,beach,walk, by bike,park,pool etc.